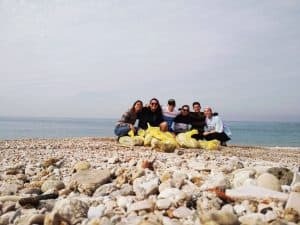 To start off the week of Tu B’Shvat, some of our students participated in a beach cleanup. They spent a few hours cleaning up all the garbage on the beach. What an amazing way to start the week and take care of the country they now call home.